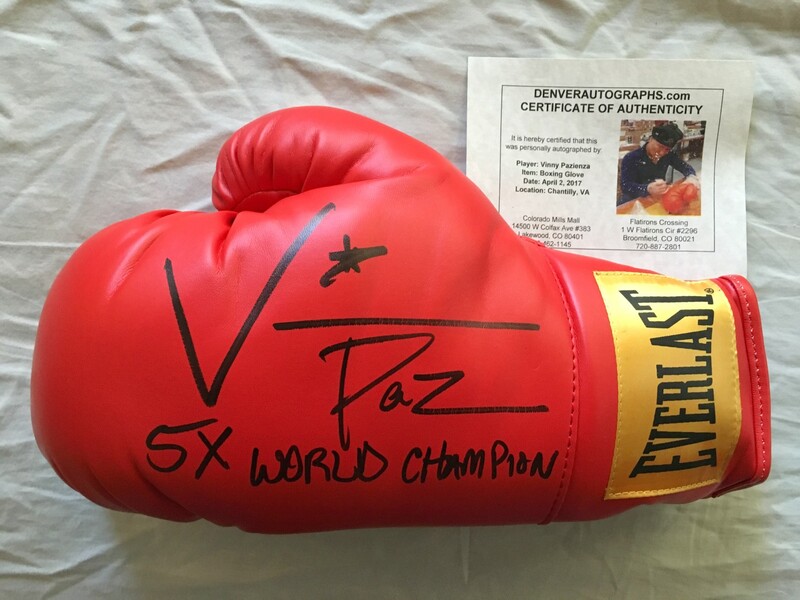 Everlast leather boxing glove autographed in thick black marker by Vinny (Paz) Pazienza, inscribed 5X WORLD CHAMP. Witnessed and authenticated by Denver Autographs with their certificate of authenticity. NOTE: signature and inscription locations may vary slightly as we obtained multiple gloves from this signing. ONLY ONE LEFT.